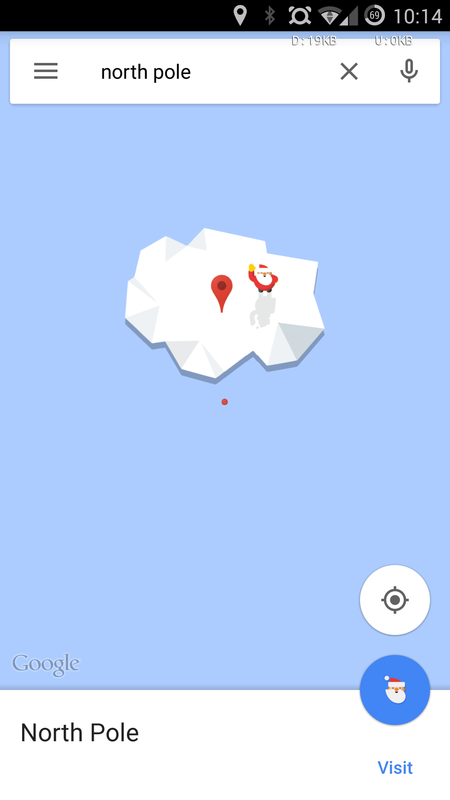 Google Maps is one of those apps that will always have an enormous number of potential new features, so it's interesting to see the things Google is focusing on with each new release. We just saw an update to v9.2 with new navigation settings and auto-correct for searches, but there are plenty of other really interesting additions in the works. Let's take a look at some of the features we might have to look forward to. It's time for a teardown. Disclaimer: Teardowns are, by their nature, speculative and based on incomplete evidence. It's possible that the guesses made here are totally and completely wrong. There is always a chance that details may change or plans may be cancelled prior to launch of a new feature. As with all rumors, nothing is certain until it's officially announced. 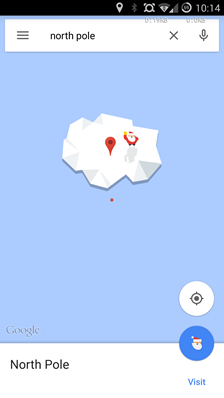 Remember Schemer, Google's attempt at a geographically-oriented social network for things to do? Don't worry if that one didn't leave an impression, it didn't do so well. 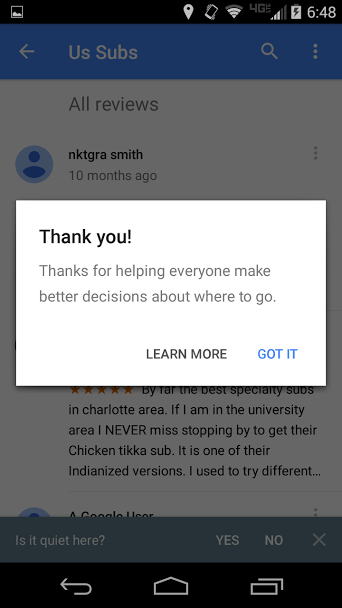 How about Google+ Local or Google Maps User Reviews, at least they're still around. 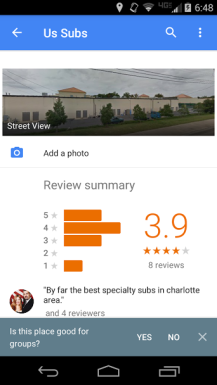 Google has tried a few times to get users to generate high quality written content for the places they know well, but the results have been a little hit-and-miss. Now it looks like the Maps team is going to give it another shot with something a little more organized. The only evidence right now are a few strings, which are at least used in the code, but it's difficult to establish how far development has progressed. 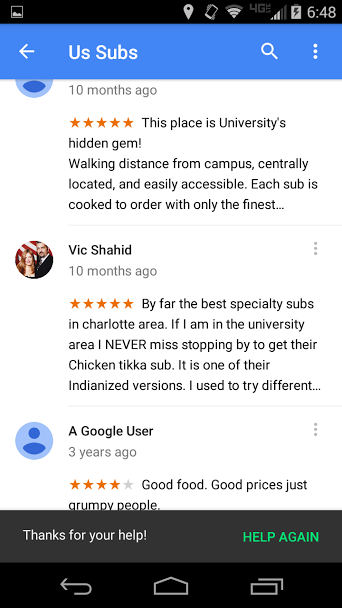 The main details are very clearly explained by the bottom string, which describes a system where users contribute written reviews. 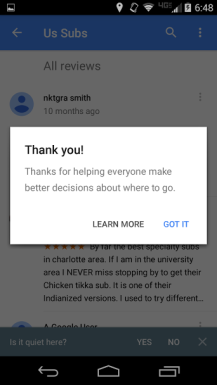 It seems that there's a gamification element related to writing reviews to gain levels; and there may be some kind of reward based on participation. 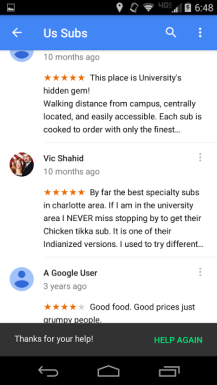 Google is almost certainly trying to supplement the reviews provided by Zagat, which are still very limited in scope and availability. 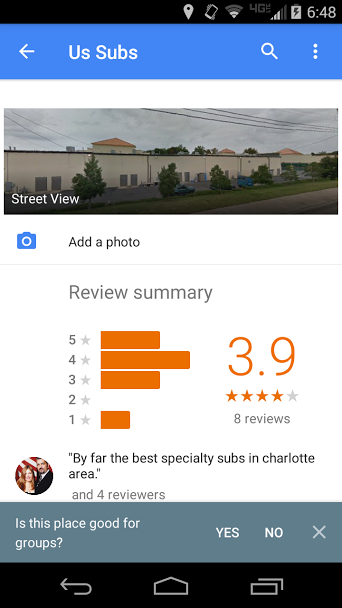 These reviews may also become an added component of Google Now, perhaps powering suggestions for travelers. There are also a few new strings for a project called "Riddler." Based on the final line, these could be related to Local Guides, or they may have an entirely different purpose altogether. Since the name Riddler implies that these will be used to prompt users for a response, rather than waiting for them to contribute a written review, it may be oriented towards acquiring ratings or feedback. There are a lot of possibilities, so I'm not going to speculate further. Update: Riddler has been found. 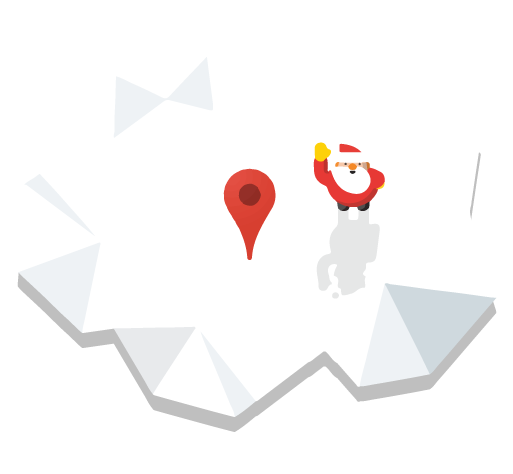 Maps prompts customers to answer simple questions about businesses they regularly visit, like how quiet or family friendly they are. Thanks, Hobie Helbich. We can project movies, music, and even web pages to our televisions through Chromecast, so why not maps? If some new strings are any indicator, we'll soon have the option to Cast city streets for a family-sized examination. There's not much to go on besides a half dozen strings, but they are common strings among Google's other media-centric apps. I'm a little suspicious of this one because there are no signs of code or images related to Casting. It's entirely possible that the strings were copied unintentionally, something that seems to happen in just about every Google app from time to time. However, even if this is a mistake, it's a really good feature and it really does make sense. For those who may not recognize the name, ATAP is Google's Advanced Technology and Projects group. This is the part of the company responsible for some of Google's more ambitious ideas, like Project Ara and Project Tango. It's the latter of the two that is named in the above screenshot. While there is hardly any code, it's interesting to see any of the ATAP experiments peeking into a mainstream Google app. If it were to be any app, Maps certainly makes more sense than just about any other (except maybe Camera). Again, there's almost nothing to see in the way of code, and certainly not resources, but maybe we'll hear more down the road. Ummm, this is just a simple image. It might be used in a promo or hidden on the world map, but I haven't been able to find it yet. 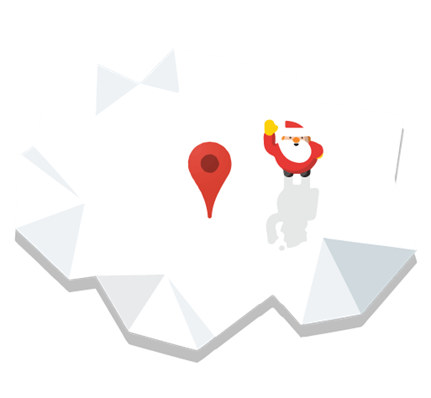 Update: It seems some people can reach this Easter Egg with a search for "north pole." I've tried it myself several times and it's still not working on my devices. I guess even treats like this take a little time to roll out to everybody. Like many teardowns, this one introduces far more questions than answers. Nevertheless, we've got some clues about an upcoming system for formalized, user-generated reviews. We also have a reason to hope for Chromecast support in the near future. It's awesome to see such a steady stream of interesting features. Now we just have to wait for them to make it into production.